Who Owns the Mark Used by a Bunch of People? Like life, trademark ownership can get complicated. About a year and a half ago I reported on a brewing dispute over the ownership of the trademark YOGI TEA. Golden Temple of Oregon (GTO) sued Wai Lana Productions for trademark infringement of its YOGI and YOGI TEA mark. Wai Lana defended itself on the basis that GTO was not the owner of the YOGI TEA mark but instead Bibiji Inderjit Kaur Puri (“Bibiji”), the widow of Yogi Bhajan, owned it. Wai Lana’s ploy was unsuccessful; it only mattered whether GTO’s rights were superior to Wai Lana’s, not to the world. Bibiji then entered the fray herself, joining the suit against both GTO and Wai Lana and accusing them both of trademark infringement. Bibiji claimed (as had Wai Lana) that GTO was only a licensee of the YOGI mark, not its owner. Bibiji and GTO then went to arbitration over their relative ownership rights. You know that there’s a rat’s nest of a problem when the analysis starts with “The notion of ownership within the 3HO community is fluid.” That’s a bad sign in a trademark case; trademark law doesn’t cope well with “fluid” organizational structures. “3HO” stood for “Healthy, Happy, Holy Organization” and was a loose association of people who wanted to lead a spiritual life as led by Yogi Bhajan. The arbitration decision details the various business organizations in the community. Most relevant was the Golden Temple Tea Company, a predecessor to GTO. Golden Temple Tea Company started independently but was later (under another name) donated to a non-profit owned by Yogi Bhajan. There were also Golden Temple restaurants, which weren’t under common control with the tea company. Ultimately GTO entered into a series of license agreements, the last in 2004 with a living trust for which Yogi Bhajan and Bibiji were trustors. The parties agreed that the license was for the name, likeness and signature of Yogi Bhajan as marks, but disagreed about whether it was also a trademark license for YOGI and YOGI TEA. Yogi Bhajan died shortly after the agreement was signed and Bibiji revoke the trust and became its successor. 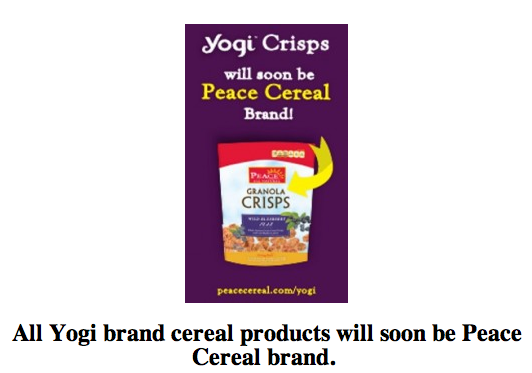 In 2008 GTO ceased using Yogi Bhajan’s name and likeness and stopped paying royalties, but continued to use the YOGI TEA mark and introduced the YOGI brand for other goods. Thus the counterclaim and arbitration. While the parties agree that the phrase Yogi Tea originated with Yogi Bhajan, the close-knit relationships among the 3HO community entities make it difficult to identify traditional trademark milestones such as “adoption,” “first use,” “first use in interstate commerce,” “consent,” and “quality control,” all of which are relevant to trademark ownership. Over the years GTO and its predecessors created a “family” of Yogi marks for tea, including “YOGI TEA,” “Yogi Bhajan,” the likeness of Yogi Bhajan, the phrase “The Yogi behind Yogi Tea is Yogi Bhajan,” “YOGI BHAJAN’S YOGI TEA,” and the more recently adopted “YOGI,” and represented to the public that tea and other products sold under this family of marks come from a single source. It cannot now claim ownership of some of the marks in the family while acknowledging that other marks in the family are owned by Claimant. As a result of the arbitration decision, GTO dismissed its district court suit against Wai Lana because it had no trademark rights. But the claims by Bibiji against Wai Lana survive, and are the topic of tomorrow’s post.